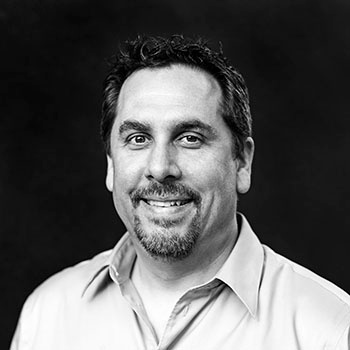 Sean is an accomplished professional Architect with 10+ years of progressive experience and comprehensive knowledge/expertise in LEED sustainable design and Biomimicry principles. Sean Williams, AIA is the principal in charge of Carlson Studio Architecture's Sarasota office. He has project experience in all phases of the design process for clients of many different industry sectors, including K-12, higher education, science and technology, healthcare, arts and culture, aviation, and sports. Sean’s specialties include LEED certification and consulting, Living Building Challenge, biomimicry design, sustainable design and business mapping, architectural design, problem-solving and more. Sean has served on the boards of the local and regional USGBC since 2010, participating in many different capacities. His passion for sustainable design has been applied to projects in the USA, Saudi Arabia, and South America for more than a million square feet of complex and innovative designs. Originally from St. Petersburg, Florida and a graduate of the University of Florida with a master’s degree in architecture, Sean lives in St. Petersburg with his wife and two daughters. Williams was part of the team commissioned to build the University of South Florida’s Interdisciplinary Science Building. The team was challenged with creating a design that would allow for interdisciplinary collaboration, featuring large common spaces where students can talk through interrelated ideas in the fields of biology, chemistry, and physics. Sean was instrumental in the design of the building’s curtain wall. The original sustainable design earned LEED silver certification and was ultimately designated as a LEED gold certified building. The University of Central Florida College of Medicine commissioned a team of architects, including Williams, to design a biomedical building for the Burnett School of Biomedical Sciences. Phase one of the project has been completed and includes clean rooms, labs, classrooms, offices, conference rooms, and a vivarium. It is a BSL-2 facility and has earned a LEED silver designation. Williams was a member of the team of architects contracted to design the data center at King Abdullah University of Science & Technology, located in Thuwal, Saudi Arabia. The university was designed to investigate sustainable energies including title turbines, solar panels, etc. The 633,750 square foot state-of-the-art data center, which serves as the technology hub for the university, boasts raised floors, rapid internet, a solar chimney and cooling pools. The solar chimney is highly effective for the desert region, keeping the space cool by moving the hot air up and out. The architects also utilized a substantial amount of glass in their design, as it is the only one of a few materials that will not deteriorate over time in the desert environment. The city and the university’s campus were designed in concert so that the resources form the city would fuel the university. This impressive project started with 450 architects and designers and was designed and constructed in just 18 months. Williams was a member of the team commissioned to design and build the iconic Salvador Dali Museum, located in St. Petersburg, Florida. The project took approximately seven years to design and build. The facility boasts 18-inch concrete walls and was built to withstand a category 5 hurricane. During the design phase, New Orleans was hit by Hurricane Katrina, and the team wanted to ensure the safety of Dali’s precious works of art. The 60,000 square foot museum was completed for $250 per square foot, which at the time was one of the lowest budgets ever for a museum of its stature. The museum features skylights to naturally light the masterpieces, as the quality of the paintings can change with different degrees of natural light. The spiral staircase was completed with three pours of solid concrete, and the temporary gallery, which was finished in polished concrete, was built to withstand the weight of any type of art including autos, glass, metal, etc. The permanent installments were designed and built to show the evolution of Dali’s works and houses oil paintings and ink. The facility’s picturesque inner atrium is 60 feet high to accommodate for sculpture showings. The entryway rocks were imported from Spain and boast a green wall, which will eventually grow up the entire west façade. The facility also features a black box theater and a multipurpose room facing the garden. Solar panels are used to generate hot water, and all of the building’s condensation is utilized to recharge the fountain. Williams and team were contracted to design the Doha International Airport located in Doha, Qatar. The $5 billion project spans 13 football fields wide and 13 football fields deep. The terminal was designed to streamline the cycle of exiting planes and includes a centralized security checkpoint in the middle of the airport. It was the first airport designed to accommodate the Airbus 880 and features several levels of holding rooms for boarding convenience. The property also includes luxury car rental and two 5-star hotels which are connected by a lap pool in the air.